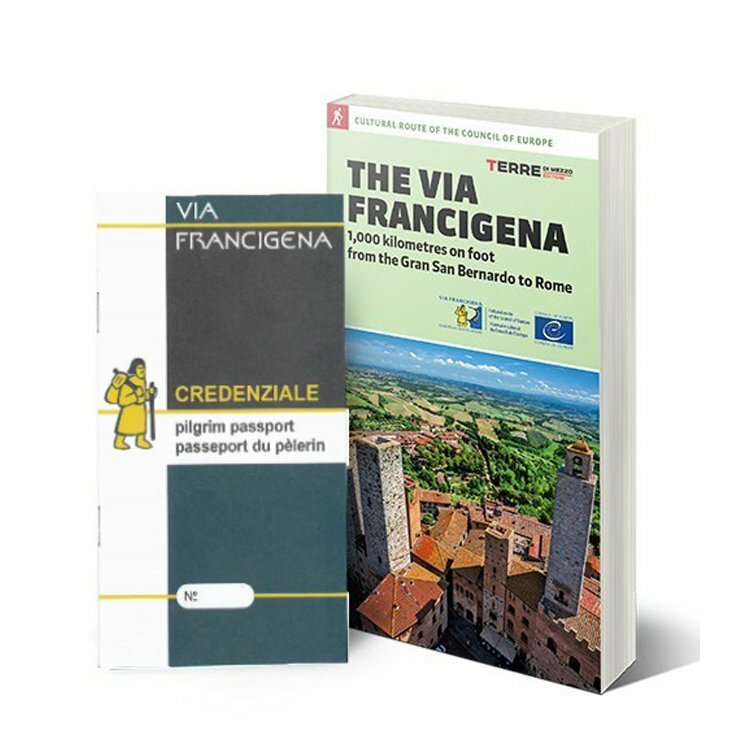 A journey that includes two of the most beautiful Tuscan towns, walking through some extraordinary villages: in some cases well-known ones, such as San Gimignano and Monteriggioni, in other cases less known but perhaps, for this reason, more interesting and surprising, such as San Miniato and Colle Val d’Elsa. The scenery varies from the plain of Lucca to the hills of the Val d’Elsa, where the modern wayfarer can plunge into atmospheres evoking the medieval pilgrimage, among millenary churches and ancient paved paths. Walk along the walls of Monteriggioni. Lucca is a town with a charming old town centre, rich in attractions: we advise you to enjoy a long walk along its sixteenth-century walls, admiring the surrounding view, before going to discover why Holm-oak trees grow at the top of the Guinigi tower. Naturally, the mystery can be revealed only by climbing the numerous steps! Restore yourselves with a snack of Bucellato, before visiting the splendid Duomo. After dinner, go and admire the elliptic square built over the ruins of the ancient Roman amphitheatre, now hidden by multi-coloured houses containing little restaurants and artisan shops. Leaving Altopascio you will walk along a splendid section of the original paved Via Francigena, surrounded by woods. Allow yourself to be charmed by the wild land of the Cerbaie, and enjoy a panoramic view of the old village of Fucecchio from the top of the old park with its ancient medieval tower. After crossing over the river Arno, you will walk along its banks towards San Miniato. The Seminary which gives the name to the main square will amaze you with its particular facade: enjoy it lit up, perhaps after eating a risotto dusted with the typical white truffle, the pride of the local area. If you think that this stage may be too long for you too walk, don't worry: you can make it shorter by taking brief stretches by public transport. A demanding leg, but one with unique beautiful scenery, awaits you. From San Miniato you will walk along an asphalted section of road, amply compensated by the following part which passes through the splendid crests of the hills of the Val d'Elsa: along the road you can cross the threshold of the Pieve di Chianni, following in the footsteps of entire generations of pilgrims. For a fitting end to the day you can enjoy a healthy bath in the hot springs of Gambassi, surrounded by a park of ancient trees. This leg of the journey, short but rich in splendid natural scenery, will lead you to San Gimignano, one of the most beautiful towns along the Via Francigena: you will get a foretaste of your arrival when you see the famous towers that make its skyline unmistakeable. Do not miss the view of the medieval town and its surrounding valleys from the top of the Torre Grossa, or if you don’t run out of energy, venture up the steps of the Rocca di Montestaffoli, for an even more special view. During the evening, take a quiet stroll to admire the illuminated town before enjoying a good glass of Vernaccia in one of the taverns of the old town centre. From San Gimignano you will continue, up and down, through the Tuscan hills. In one point of the journey not yet well marked you will come to Sce Martin in Fosse, one of the halting places along the ancient route of Sigerico. Today's destination is Colle Val d'Elsa, a Tuscan village which will take you back in time, with its charming old town centre and narrow alleyways winding through the stone walls. 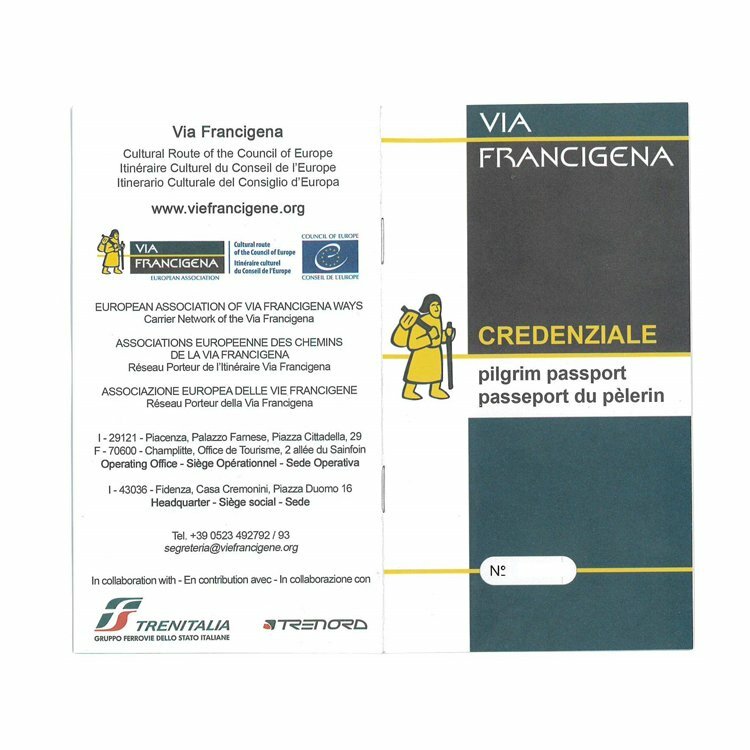 Prepare yourselves for one of the most beautiful sections of the Via Francigena: a meditative route, along which you can admire the Pieve di Strove (unfortunately just from the outside) and stand in the quietness of the splendid Abbadia at Isola, another stage in the journey of the Archbishop Sigerico, where time stopped 1000 years ago, when he passed through. Your breath will be taken away when you see the castle of Monteriggioni, with its crown of towers, built on a hill in order to defend the ancient Republic of Siena. Within it, a small ancient world, with the beautiful square and small gardens where you will be able to gather your breath, before climbing up onto the walls to admire the surrounding view. From Monteriggioni you will start your walk again along the white roads of the Sienese countryside, passing thought the old, no longer inhabited medieval village of Cerbaia: you will experience the same feelings as the ancient pilgrims when you pass through porta Camollia, the traditional Francigena entrance to the town of Siena. An unforgettable way to celebrate? A plate of pici all'aglione in the illuminated Piazza del Campo. And don’t forget the panforte! From Pisa Airport (PSA), you can take a train to Lucca with change in Pisa Centrale station. From Florence Airport (FLR), take a public bus to Florence Santa Maria Novella Train Station, and then a train to Lucca (with change in Pisa Centrale). On departure, if flying from Pisa airport PSA, you first need to reach Florence by bus. Once in Florence, you need to take a train to Pisa Central Station. From there, you can reach the airport by either bus or train. As an alternative, you can catch a bus from Siena station to Pisa aiport: www.tiemmespa.it/index.php/Viaggia-con-noi/Altri-servizi/Lunga-percorrenza/Siena-Firenze-Pisa-Aeroporto. You can also reach Pisa from Siena by train, but you always have to change in Empoli. If flying from Florence airport FLR, you first need to reach Florence train station Santa Maria Novella by either bus or train (both direct). Once in Santa Maria Novella, you can reach the airport by either taxi or bus.